Microgaming slots fans are getting excited about the studio’s next big game release- Emoticoins Slot – but will it live up to the hype? We preview the game to find out. August 2017 promises to be a big month for slot releases, with two of the online casino industry’s big game studios going head to head with Emoticon-themed slots. Netent’s much-hyped Emojiplanet will be released to coincide with the launch of The Emoji Movie film starring Patrick Stewart. 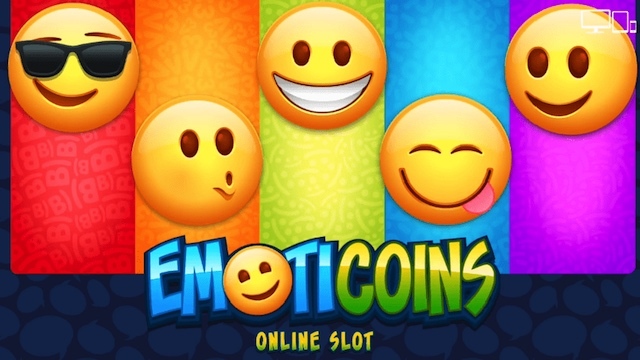 Meanwhile, Microgaming will be releasing Emoticoins Slot, a 5 reel and 30 payline game with Sticky Wilds and Free Spins, and an RTP (Return to Player) of 96.5%. 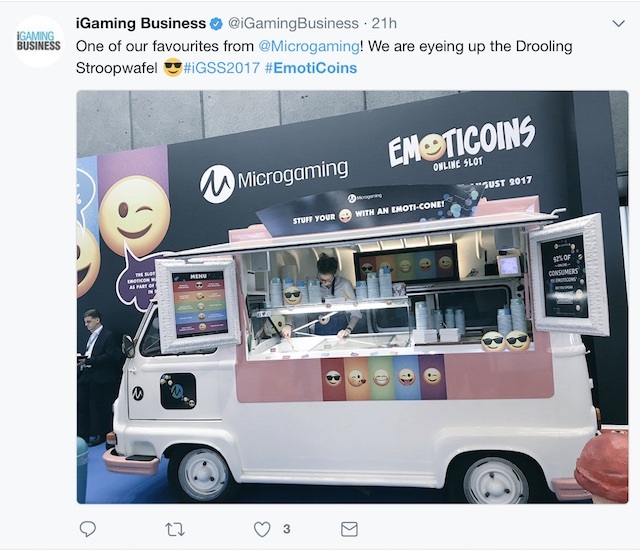 Microgaming have been making a lot of noise about this release – check their Twitter feed to see their stand at the iGaming Super Show in Amsterdam this month, featuring an ice cream van serving five different flavours into … Emoti-cones!!! Lucky visitors to the show can try anything from a ‘Drooling Stroopwafe – Totally Nuts with Sunglasses’ – to ‘Vanilla Filled With Tears of Joy!’ No, we don’t know what that means either! In summary, Emoticoins Slot will be available on all devices of course, and with a stake range from 30p up to £300 per spin. It’s volatility rating will be somewhere around medium. Alongside the standard card symbols you can expect five cheeky Emoticons which will make up the higher value symbols. The game logo will act as the wild and the game will come with an additional Wild Blast feature where five additional wilds are randomly added to the reels for the following spin. And then of course, expect plenty of Free Spins action from Emoticoins Slot. The bonus round will be triggered by three or more LOL scatter symbols. 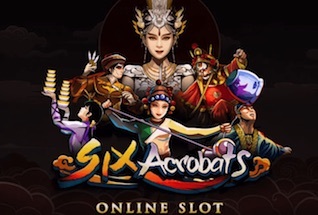 10 Free Spins will be awarded with Sticky Wilds featuring on spins 1, 3, 5, 7 and 9, adding up to a total of five Wilds available on the final spin in the bonus round. And that’s your lot! Emoticoins looks like it will be a lot of fun, but whether the game will be able to compete with the sheer force of marketing backing-up NetEnt’s EmojiPlanet is another question. We will have to wait to find out. In the meantime, why not check out these July game releases from Microgaming, available to play at Casumo Casino right now.